General Dynamics Ordnance and Tactical Systems – Canada is one of only a few producers of large-caliber brass cartridge cases in North America, GD-OTS Canada not only meets its own needs for quality components but also supplies all-caliber brass cases, propelling charges, projectiles, primers, fuses and many other components to munitions manufacturers and contractors around the world. 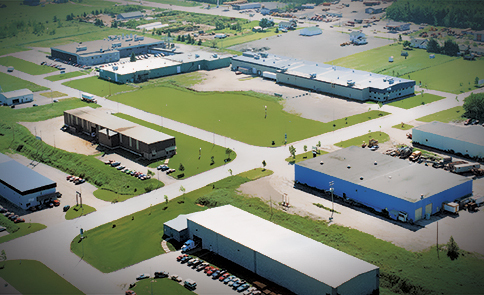 GD-OTS Canada operates a metal parts manufacturing plant In St-Augustin, near Quebec City. 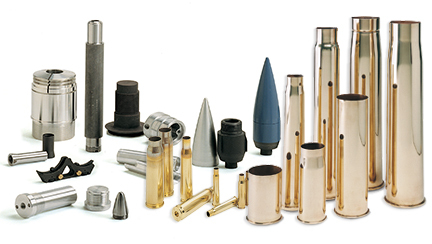 The facility produces a wide variety of brass cartridge cases for small, medium and large-calibre ammunition, in addition to metal components for projectiles and primers. 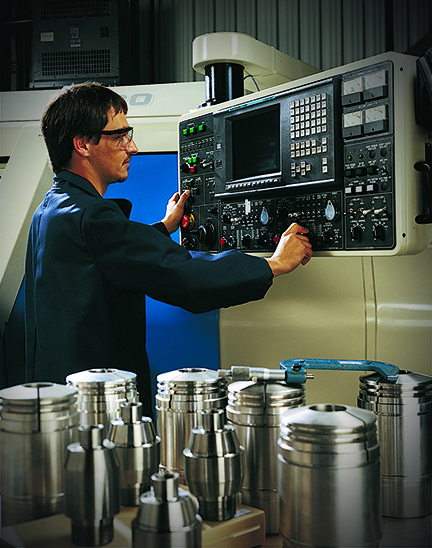 It further offers CNC (computerized numerical controls) machining capabilities for specialty products. 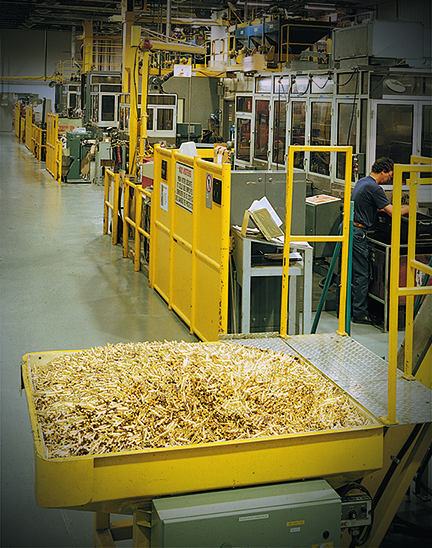 Brass components produced at the St-Augustin plant are made of different alloys. The yellow brass (copper alloy 260) contains approximately 70% copper and 30% zinc. 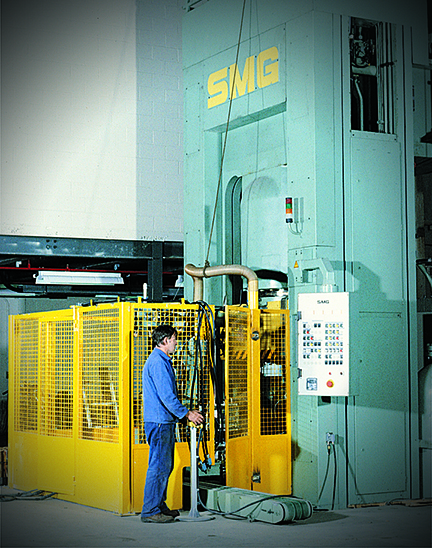 It is used in the production of all types of cartridge cases and primer components. 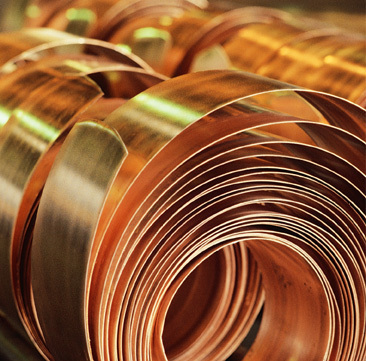 The red brass (copper alloy 220), which contains 90% copper and 10% zinc, is used mainly to manufacture small-calibre projectile jackets. 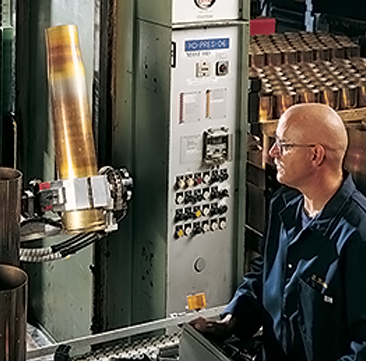 These alloys are cold formed and heat treated to minimize residual stresses and obtain the strength and elasticity required for the proper functioning of ammunition during the firing process. GD-OTS Canada purchases its raw materials in coils, strips, cups and discs at the most competitive market prices. Producing cartridge cases on cutting-edge equipment, the plant also supports its operations with in-house state-of-the-art laboratories. GD-OTS Canada has the technical expertise to develop and industrialize various types of small, medium and large caliber brass cartridge cases to specific customer requirements. This capability is exploited on a current and continuous basis. Our strength lies in our ability to respond quickly to customer requirements with rapid delivery of production contracts and/or the development of new products. With its in-house technical expertise, modern equipment and an appropriate infrastructure, the St-Augustin plant has the flexibility to react rapidly to any request for customized products. Various parts for 105mm Training projectiles including sabot in magnesium alloy. Heading Press at St-Augustin Facility. Numer Control at St-Augustin Facility. Small Caliber Ammunition at St-Augustin Facility.